Revered President Maharaj is scheduled to visit Baghbazar centre, Kolkata, from 29 July to 1 August. He is keeping well. Swami Vagishananda ji will be visiting Medinipur from 4 to 11 July, and Belgharia centre, Kolkata, from 22 to 25 July. He is keeping well. Swami Gautamananda ji is scheduled to visit Varanasi, Allahabad, Lucknow and Kanpur from 3 to 11 July, and Belur Math and the Institute of Culture, Kolkata, from 14 to 20 July. He is in good health. Swami Prabhananda ji is scheduled to return to Belur Math on 11 July after his visit to Agartala. He is keeping well. Swami Shivamayananda ji will be returning to Kankurgachhi Math on 12 July after his visit to Silchar and other places. He is in good health. Swami Suhitananda ji is scheduled to return to Belur Math on 6 July from Barisha centre, Kolkata. He will be visiting the Institute of Culture, Kolkata, from 20 to 26 July. He is keeping well. 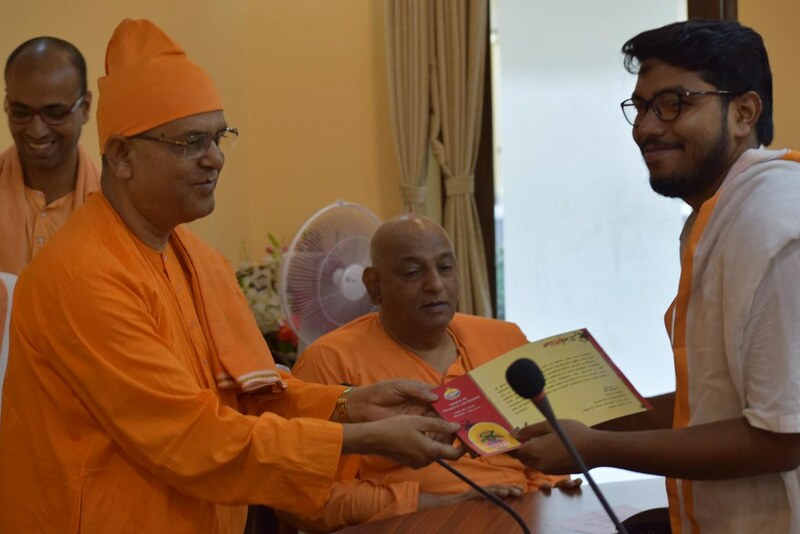 A ten-day residential training programme on ritualistic worship of the Holy Trio was held at Veda Vidyalaya, Belur Math, from 29 May to 7 June. Different aspects of the worship were discussed and rituals were demonstrated by our monks. Twenty-five men from different ashramas affiliated to Ramakrishna-Vivekananda Bhava Prachar Parishads attended the programme. Photo and Report. A new branch centre of the Ramakrishna Math was inaugurated in Dublin, Ireland, on 17 June. Its address is “Ramakrishna Vedanta Centre, ‘Nivedita House’, 17 Dromheath Gardens, Mulhuddart, Dublin D15 E762, Ireland”, phone number: (353) 866015603 and email id: <[email protected]>. Special worship, speeches and cultural events were held to mark the inauguration, which was attended by about 200 devotees and well-wishers. Photo and Report of the Inauguration and dedication of the Dublin Centre. Rajkot centre conducted a seminar on ‘Interfaith Harmony for a Global Civilization’ on 24 June. It was inaugurated by Sri O P Kohli, Governor of Gujarat, and chaired by Swami Gautamananda ji. About 750 people of various faiths took part in the seminar. Photo and Report. Rajkot centre conducted a meditation session on 10 June in which 550 devotees participated. Antpur Math conducted a spiritual retreat on 23 June which was attended by about 200 devotees. Swamiji’s Ancestral House held four lectures at the centre and elsewhere in Kolkata between 28 May and 6 June. In all, about 1300 people attended the lectures. Hatamuniguda: A programme on 21 June in which a large number of students performed yogasanas. Photos. Chennai Math: A yogasana session on 21 June in which all students of the girls’ higher secondary school of the Math took part, and a workshop on ‘Yoga for Healthy India’ on Vivekananda Illam (Vivekananda House) campus on 22 June in which 18 yoga teachers participated. Jammu: A ten-day yoga camp from 12 June in which 75 school children participated. The camp concluded on 21 June with a special meeting. Kochi: A meeting and a yogasana session on 21 June. About 60 persons participated in the programme. Rajkot: A seminar on yoga on 21 June, which was attended by 150 people. Lusaka (Zambia): A yogasana session on 24 June in which 70 people took part. Report and Photo. Netherlands: A lecture and a meditation session on 21 June on the premises of a temple in Amsterdam, which were attended by a good number of people. 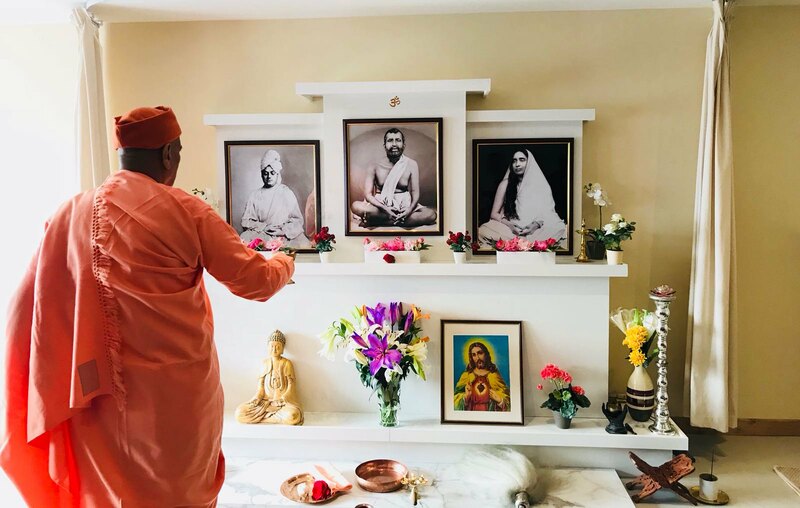 Email IDs: Headquarters: The office coordinating the celebrations of the 125th anniversary of Swamiji’s Chicago speeches has been assigned the email id: <[email protected]>. Narendrapur Vidyalaya (higher secondary school) has a new email id: <[email protected]>. St. Petersburg centre, Russia, has a new email id: <[email protected]>. The General Secretary inaugurated the higher secondary section of Baranagar Mission Ashrama’s school on 22 June. Photo and Report. Sri Sarbananda Sonowal, Chief Minister of Assam, visited Silchar centre on 24 June. 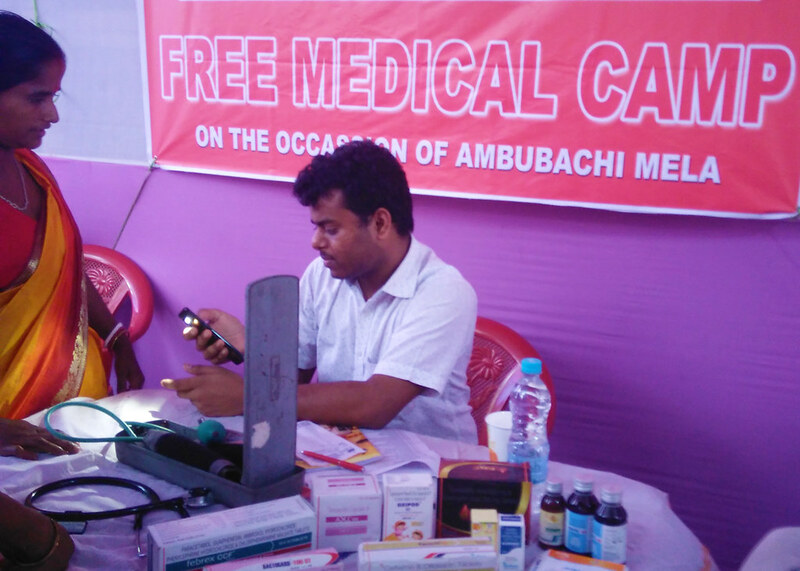 Guwahati Ashrama conducted a free medical camp during Ambubachi Mela near Kamakhya Temple from 22 to 25 June in which 6574 patients were treated. Photo and Report. Narottam Nagar centre observed World Environment Day on 5 June by planting 400 saplings on the centre’s premises. Photo and Report. Seva Pratishthan, Kolkata, conducted cultural competitions for nursing students from 22 to 24 May. In all, 150 students from a number of nursing institutions in West Bengal participated in the competitions. The General Secretary inaugurated the newly set-up gynaecology ward and an operation theatre (for the urology department) at Seva Pratishthan, Kolkata, on 29 June. The results obtained by the students of our schools in the Secondary (Class 10) and Higher Secondary (Class 12) Examinations, 2018, conducted by different education boards are given below (in all these figures, Star Marks means 75% or more marks, 1st Div. 60% or more marks, 2nd Div. 45% or more but less than 60% marks, and 3rd Div. less than 45% marks). A student of Visakhapatnam school scored 10 out of 10 points in the class 10 exam. The results obtained by the students of our Chandigarh hostel at the Higher Secondary (Class 12) Examinations, 2018, conducted by CBSE and CISCE are given below (in all these figures, Star Marks means 75% or more marks, and 1st Div. 60% or more marks). The following centres held summer camps for students. The programme included chanting, bhajans, yogasanas, values education classes, etc. 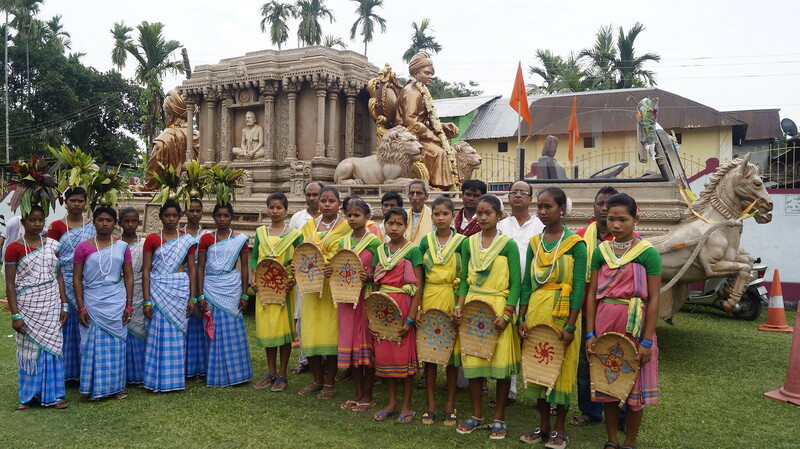 Jalpaiguri centre, in association with Kankurgachhi Math, held Ratha Yatra (procession with Vivekananda carriage), personality development workshops, public meetings, exhibitions, film shows and cultural programmes at a number of places in four districts of Assam from 15 to 25 May. Photo and Report. Delhi centre conducted 12 values education workshops between 1 and 27 June, which were attended by 36 principals and 792 teachers. The workshops were held in 8 states. Kamarpukur centre conducted a cleanliness drive at Kamarpukur village on 24 June. Smt Sushma Swaraj, Minister for External Affairs, Government of India, visited Ramakrishna Centre of South Africa, Phoenix, on 6 June. Dhaka centre, Bangladesh, held a blood donation camp on 9 June in which 23 people donated blood. Photo and Report. The boys’ and girls’ teams of Swami Vivekananda College of Fiji centre won the Fiji Schools National Swimming Championship. In all, the two teams secured 45 gold, 32 silver and 17 bronze medals. Thirty students of our Dhaka school had appeared in the Secondary (Class 10) examination conducted by Secondary and Higher Secondary Education Board, Dhaka, this year. Of them, 29 passed with the first division marks (60% or above in the aggregate) and 1 failed; 3 students secured star marks (75% or above in the aggregate). We record with sorrow the passing away of three of our brother-monks. Swami Akamananda ji (Vinayak Maharaj) breathed his last at Kankhal centre on 5 June at 10.43 pm. He was 103. An initiated disciple of Swami Akhandananda ji Maharaj, he joined the Order at Nagpur Math in 1941 and received sannyasa diksha from Swami Virajananda ji Maharaj in 1950. He served at Nagpur and Mumbai centres as an assistant and Ranchi Sanatorium and Kanpur centres as the head. He had been living a retired life mainly at Mumbai and Kankhal centres since 1989. Endowed with a strong will power and great perseverance, he contributed to the Order in different capacities. In him the Order has lost one of its venerable senior monks. The Prime Minister of India sent a condolence message on the demise of Maharaj. Swami Abhiramananda (Shivakumar), Assistant General Secretary, Ramakrishna Math and Ramakrishna Mission, passed away suddenly and most unexpectedly. Till the afternoon of 7 June, he followed his daily routine as usual. However, from the evening of that day, he could not be found. After a frantic search, his dead body was found floating on the Ganga, near Belur Math Ferry Ghat, on 8 June at about 8.15 am. He was 65. Initiated by Swami Vireshwarananda ji Maharaj, he joined the Order in 1974 at Bengaluru centre and received sannyasa diksha from his guru in 1984. He served as an assistant at Bengaluru, Singapore, Coimbatore Mission and Chennai Math centres, and later as the head of Chennai Vidyapith and Coimbatore Mission Vidyalaya. He was an acharya of the Probationers’ Training Centre for about two years. In June 2014, he was appointed a trustee of Ramakrishna Math, Belur, and a member of the Governing Body of Ramakrishna Mission. In May 2017, he joined the Headquarters as an Assistant General Secretary, the post he held till his passing away. The swami was unassuming, jovial and hardworking. In his untimely demise, the Order has lost a promising member. Swami Kumarananda ji (Yatiraj Maharaj) expired at a hospital in Bengaluru on 17 June at 3.10 am. He was 79 and had been suffering from renal disease and hypertension for some years. Initiated by Swami Madhavananda ji Maharaj, he joined the Order in 1960 at Chennai Math and received sannyasa diksha from Swami Vireshwarananda ji Maharaj in 1970. He served as an assistant at Chennai Math, Ranchi Sanatorium and Nattarampalli centres, and later as the head of Nattarampalli centre for about 14 years. After relinquishing the headship in November 2001, he had been staying at Ooty, Kankhal and Halasuru centres as a retired monk. The swami was simple, amiable and austere by nature.